. :'Westvision - Gallery of Artist Cynthia West':. 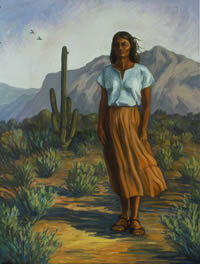 Westvision is an art gallery featuring Cynthia West, the well known and internationally collected Santa Fe artist. Her works include fine oil paintings, prints, digital paintings and photography, shrines, pottery, dream arts, book arts and poetry. Welcome to her high mountain garden.